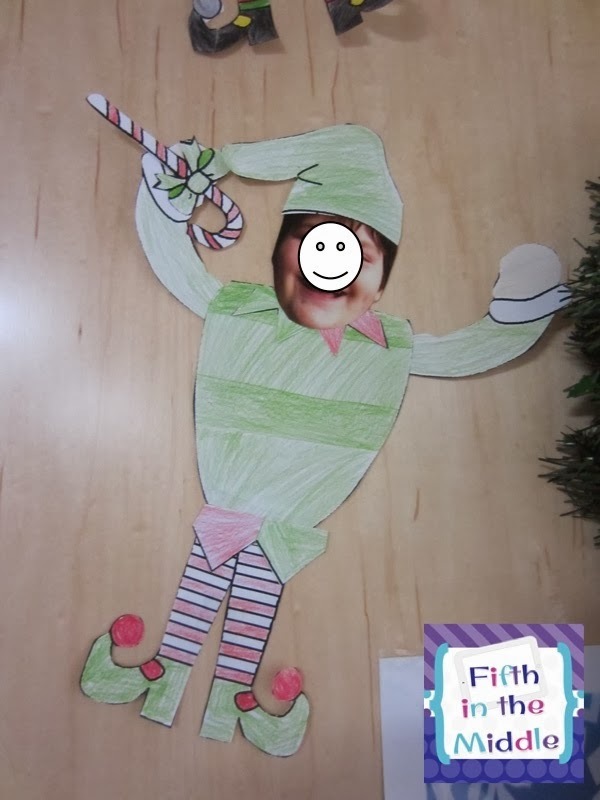 My students have been having a fun time with Elf for Hire. This is something that I have done in years past, but I like how this is laid out with graphic organizers. Plus, it was free from Teresa Kwant! Click on the image below to download it from TpT. 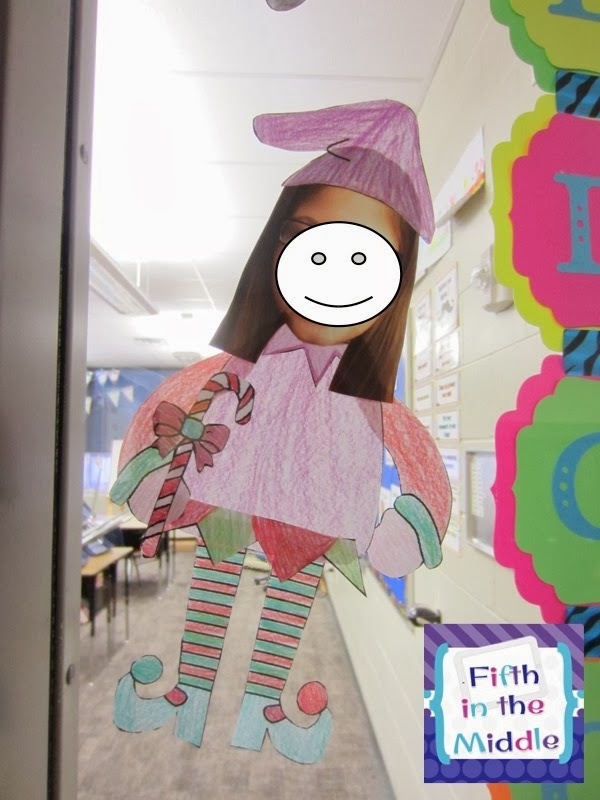 I modeled how to fill out the graphic organizer. If you use Write Tools like I do, then the opinion would be coded green, the reasons would be yellow, and the evidence would be red. From the graphic organizer, they created a rough draft after I modeled it. Again, I had them highlight the opinion (topic) green, the reasons (big ideas) yellow, and the evidence (details) red. I also had them circle the transition words that they used in their yellow sentences, as well as having them double-check that their yellow sentences were the first sentences of their paragraphs. From that, they typed up their "applications" so they could read them for the class. Another component was to invent a new toy. 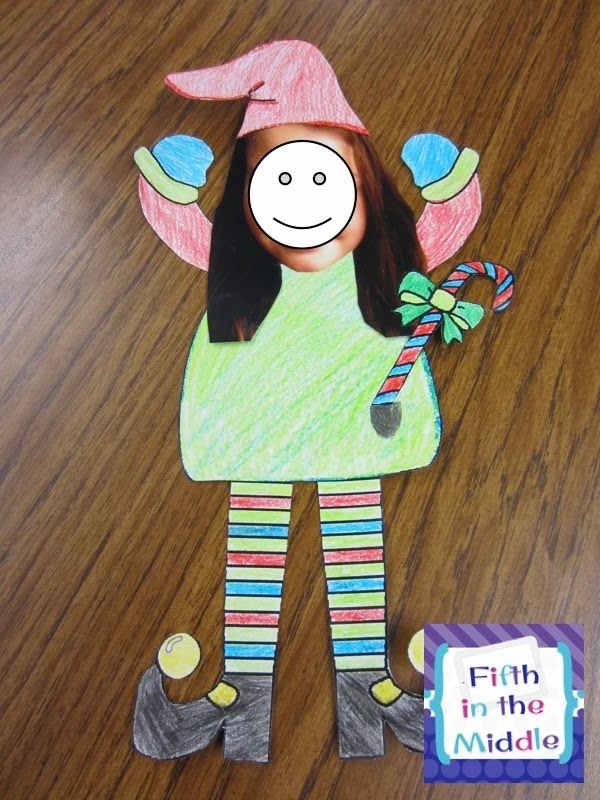 Students had a lot of fun coming up with pictures of crazy toys and descriptions of what they did. 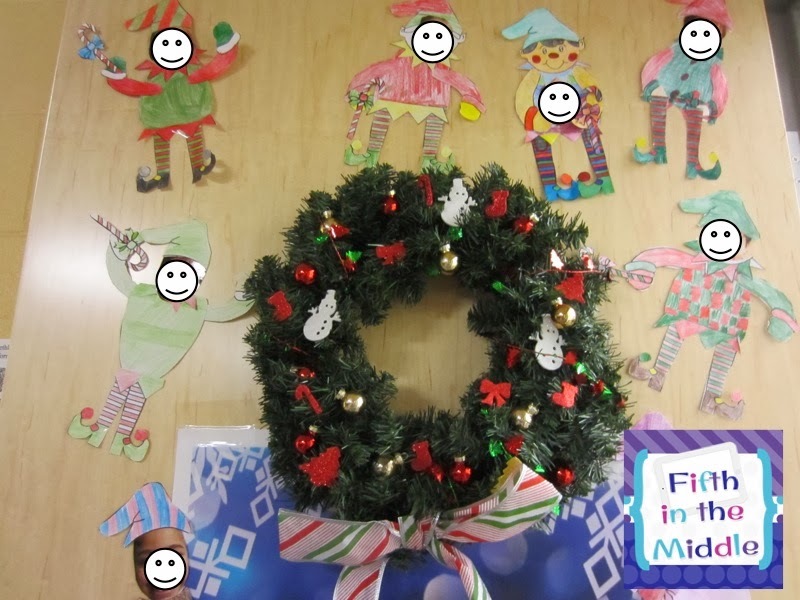 I also took pictures of the students so that they could use to "elf" themselves. My coworker actually found these, but I remember seeing them somewhere in the past year or two. If you know the source, please let me know so I can credit them. 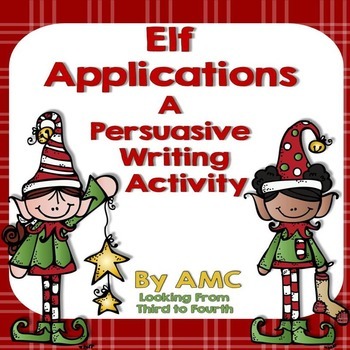 AMC also has a great variation on this activity with different positions for which the students can apply. Click on the image to see it in her store. I love your employee badges, too cute! 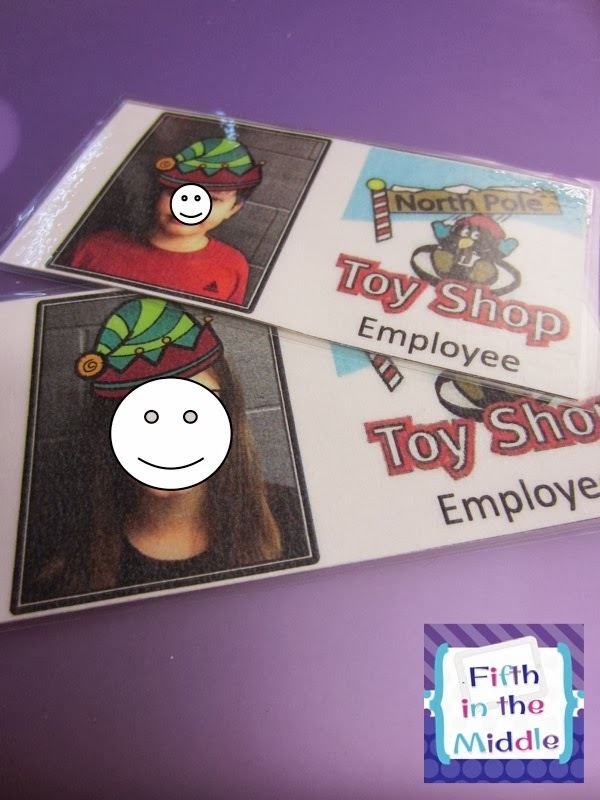 The elf hats on their pictures is a great idea. Thanks for the shout out. 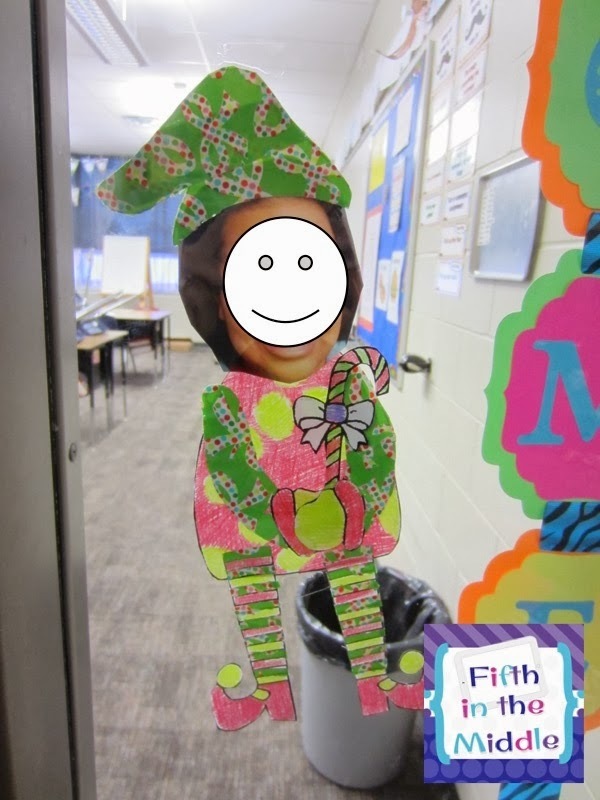 You saved me yesterday:) I did this with 50 students and they loves it. 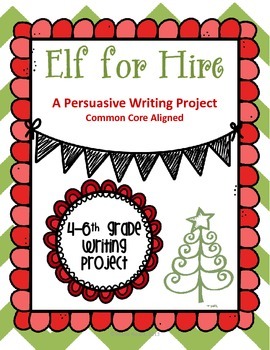 Some of my tough kids said well what if we don't want to be an elf and I said well then you persuade me not to hire you:) they fell for it! Thank you! I am SO doing this next year!! !